Available in Regular shapes and sizes. Ametrine is a variety of bicolor quartz that has zones of amethyst (purple) and citrine (golden yellow) in contact with one another in a single crystal. According to legend, the Ayoreo Indian tribe of eastern Bolivia knew about the bicolor quartz crystals over 500 years ago. Mined in Bolivia, Brazil and India. This is Ametrine Glass/ Nano/ Hydro.This is made on order at our factory in Jaipur. Ametrine, also known as trystine or by its trade name as bolivianite, is a naturally occurring variety of quartz. It is a mixture of amethyst and citrine with zones of purple and yellow or orange. 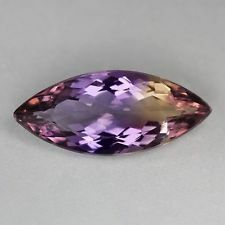 Almost all commercially available ametrine is mined in Bolivia, although there are deposits being exploited in Brazil and India. We are one of the leading manufacturers and suppliers of Ametrine Stone . Our Gemstones are acclaimed for their high quality, reliability and fine finish. These can be availed at very affordable rates. We always ready to cut customize designs as per your requirement. We are successfully meeting the varied requirements of our clients by providing the best quality range of Natural Ametrine Stone. Ametrin stone is available in a wide range of calibrated sizes and shapes. The natural color of Ametrin gem stone blends well with the yellow gleam of polished gold and vivid purple and thus is ideally suited for jewelry. Natural Bolivian Bi Color Ametrine Rough!!! Owing to years of experience in the industry, we offer an exceptional array of Ametrine Faceted Nugget that are manufactured using quality assured threads and precious stones. Our entire product range is valued among the clients for high quality and designer appeal. Ametrine Faceted Nugget ensures excellent finishing. 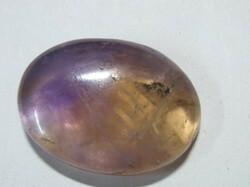 We would like to offer Ametrine Cut Stones at very competitive price. We can make custom orders as per your particular requirement. We guarantee that all the gemstones we sell are of good quality at very competitive prices. We are manufactrer of Natural Ametrine . We deal only in wholesale.